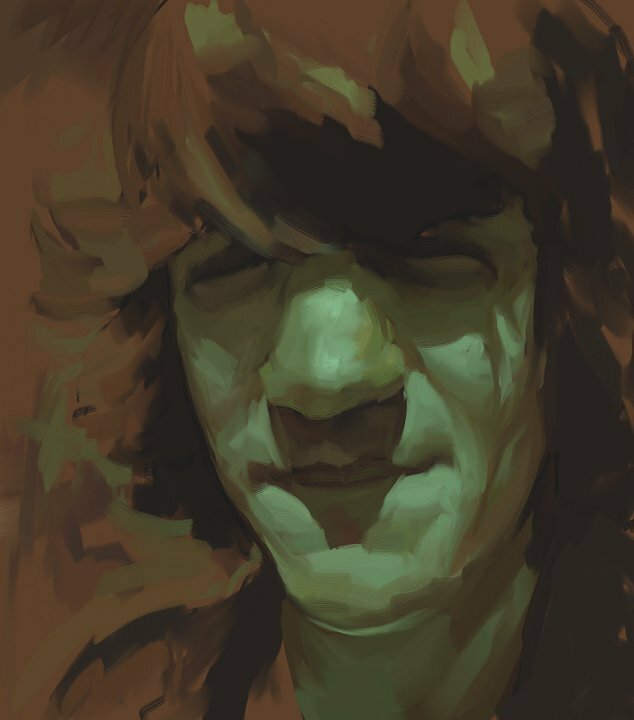 Self-released, Ben Sharp, 16 September 2010. Self-recorded, self-funded, and self-released. Proceeds go directly to the artist. 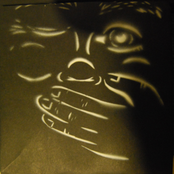 Available for download at any chosen price from $0 upwards or a CD from $10 upwards at http://cloudkicker.bandcamp.com. 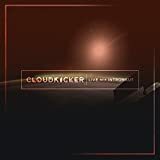 Cloudkicker, the solo project of multi-instrumentalist, has developed over the years to become an incredibly strong and full fledged outlet for great metal, and this album demonstrates the subtle evolution since his debut album of 2008. What we have here is a much more mature, diverse, technical and overall interesting Cloudkicker, still capable of blasting beats and eardrums. 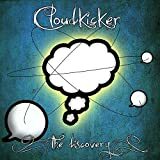 The music here is much more diverse and less djent than Cloudkicker's previous album, The Discovery, with a much more melodically driven tone and feeling. This album also seems to be sonically better than his previous releases. The album starts slowly with the intro then jumps into full Cloudkicker mode with the opener 'Here, Wait A Minute! Dammit! ', a progression which continues throughout the whole album through several climaxes and peaks. The album is still full of headbanging and air-drumming spectaculars, with evenly paced levels of heaviness and head pounding rhythms. The music here is much more likely to please straight metal fans, as the sound is slightly more radio friendly than his previous releases - although this is not a bad thing. On the contrary, B. M. Sharp manages to make his own mix of prog, djent and metal into a much more thoroughly thought out and well structured record. Tracks like 'Oh, god.' also have a refreshing emotional sensibility to them. This album is worthy of any progger, mettaler or djentleman's record collection. 4/5 stars, although incredibly close to being a 5 star album, I feel this album could have been a bit more solid throughout, and does become slightly repetitive in sections. Regardless of my minor tiff with one aspect of the album, this 44 minute slice of delight is highly recommended to any and every music fan. Lately the funds have been low for purchasing new music. So I've been searching for stuff from the past 2 years or so that I can listen to for free...legally. This is a recent album that gets lots of good reviews. 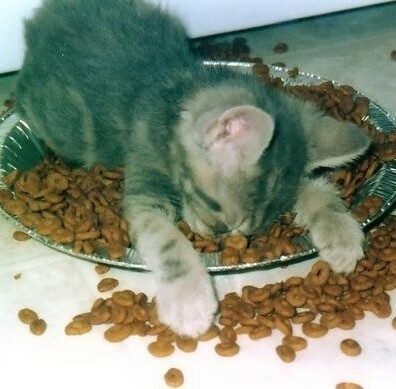 I don't share the enthusiasm. There is nothing wrong or bad about the music here. I admire Ben Sharp's one-man-band approach. He knows how to play his instruments. He uses the Radiohead model of "pay what you want". The biggest problem I have with this album is...it's not really prog. I don't listen to a lot of modern metal, but I have friends who do. Most of the metal they listen to is in the non-prog variety. A lot of it sounds similar to this but has screaming and growling. This is instrumental metal. Good instrumental metal. But not very proggy. One of the biggest problems I have with most metal music that gets labelled 'prog' is that the metal aspects far outweigh the prog ones. I honestly don't hear anything here that wasn't already being done in 2000. If you like modern instrumental metal, then you will probably like this. If your looking for something proggy you will be disappointed. I like the song titles here; sounds like a few sentences broken up. "I Admit It Now. I Was Scared" is the one song that caught my attention the most. Some nice volume pedal swells here. I don't know how much volume pedals are used in modern metal, but it sounds good here. In the 1970s everyone from Yes to Aerosmith were doing the volume pedal swells thing. Usually at the beginning of a song. "It's Bad. We're Hit, Man, We Are Hit" is the only other song that did anything for me. Especially the middle part. I wish Mr. Sharp the best. This is a decent metal album, but not much more. In general I am not into most metal with the 'prog' tag. Listening to this just reminded me I got to do that Unexpect review I've been meaning to do. 2 stars. The second full-length bout from the mysterious djentleman Ben Sharp, Cloudkicker's 'Beacons' is defined by it's higher highs, and lower lows, when compared to it's predecessor. Maintaining Cloudkicker's deep root in post-metal, the sound here goes even farther from the typical Meshuggah soundalike this one man instrumental project started with in 'The Discovery.' 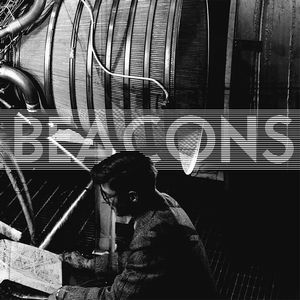 While 'Beacons' is certainly not as consistent as the evenly-flowing debut, it remarks a very distinct development in the sound of Cloudkicker, and is a satisfying follow up from this quality project. While there's certainly a change o sound witnessed here, the essence of Cloudkicker is still here in droves. The emphasis in the music is still about atmospheric, larger than life textures, gradually building tension and sound that only gets more complex as the composition progresses. Like 'The Discovery,' 'Beacons' is comprised of a song suite; each track is generally seamlessly connected to the next, giving a very continuous and pleasantly flowing product. However, 'Beacons' doesn't sound as much like a front-to-back composition as much as a seamless string of smaller compositions, the effect of a well- flowing album definately gets across. A very interesting thing about 'Beacons' is it's concept. While there hasn't been any discernable binding concept in any Cloudkicker work before this, the theme here revolves around black box messages found on crashed airplanes. While the music itself is instrumental and relies completely on the talented guitarwork of Ben Sharp, the music does reflect the atmosphere of panic and desperation quite well. Of course, there are always mellow sections here to give a respite from the mathematically complex metal-leaning music here, including the quiet flourishes of 'I admit it now, I was scared' and '...it's just wide open field.' These softer compositions are deeply rooted in post-rock, and generally trail back into the heaviness before they can go anywhere of much value. However, in the scope of the album, they work beautifully as interludes. While 'Beacons' is a strong record, the two problems here concern the less consistent nature of the album, and the overbearing concept of repetition in the album's composition. Things here are performed and produced beautifully, especially considering that for all intents and purposes, this is an indie release. 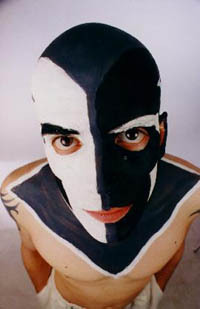 However, there are times when Ben Sharp's musical ideas are stretched out a little too much beyond what they're worth. Musical themes will be repeated over and over again, and while this can be very effective for some of the more atmospheric sections, the less captivating sequences can go as far as being boring. Fortunately enough however, around the time the nerves start to wear, a new musical idea comes forth to save the day. Overall, 'Beacons' doesn't leave as much of an impression as 'The Discovery.' 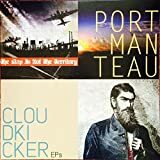 Perhaps this is because I now have high expectations for the talented one man project, but in any case, this album is a very welcome contribution to Cloudkicker's catalogue... and despite the flaws here, this is indeed a welcome contribution to an impressive discography. It is a delicious B(e)acon, you must eat it! Cloudkicker's second album, Beacons, was my way in its fantastic music. the band is nothing but a one man project, driven by the Ohio-based musician Ben Sharp. Playing every instrument on every Cloudkicker release, as well as writing every music himself, Ben's solo project made co9me to surface some ofthe most interesting and new pieces of heavy metal music I have seen recently. Released a bit earlier in this same year and led by Ben's guitar-based music, that mix intricate and technical parts with ambient and groovie themes, Beacons constatly finds itself having multiple guitar layers with different leanings. There are, throughout the whole album, at least two guitars in every song: one responsible to, at least, set the basic groove or pace of the specific song and another responsible for playing the solo parts, nothing new concerning the traditional rock or heavy metal rhythmic and solo guitars. However, quite constantly it is possible to see up to four or five (!) guitars in a single song, responsible for the second solo guitar, or the second rhythmic guitar (or even both) or a guitar with lots of feedback, for the distinct ambient setting characteristic of post-metal. In every of the mentioned instances, the technical proficiency of Sharper's guitar playing abilities are always being shown. In fact, the guitars are the only instrument that shine here. Every other instrument that do make an appearance in the album is only there to be some kind of base for the guitar work. Hell, even the other guitars appear to make way for more guitars! Composition-wise there is not much to complain. The album has very good songs from start to finish, but its progress is bumpy somehow. When there is a change of pace in Beacons, the song simply end and another one starts, no welcoming cards, no goodbyes said. Still about the compositions, i find the style of music played here to be very interesting. It could be described as some kind of mix between Blotted Science and Messhuga, but fully instrumental, much less heavy and a little bit less technical, with post-metal and ambient touches everywhere. Having Beacons as my way in Cloudkicker's music was, for me, very good. the album, in spite of not being the best thing since the invention of music, is a very solid and acomplished release. The instrumental work is done very well and, unlike some other instrumental metal albums, it does not get tiresome over time. If you like guitar-driven progressive metal, this would a great place to stop by and give a try. And did I mentioned that it is available for free? Great music for free directly from the artist's website. It does not get much better from that. Cloudkicker is a one-man metal project around Ben Sharp, a gifted musician with a good ear for details, delivering an album that sounds surprisingly organic, mature and professional for these types of one-man endeavors. The music can be roughly described as modern instrumental metal, incorporating the technical riffery and syncopated rhythms that were introduced in metal by the Prog Metal bands from 20 years ago. These things have since become rather "mainstream" or better "standard" in today's metal so whether this is still progressive or not has already been contested on this page and is indeed up for debate. At least it has a certain level of originality in fusing math metal with post-rock. Also the fact that it's instrumental makes it more arty then your normal metal platter. The quality of the material on the other hand is not up for debate. It's downright good and entertaining throughout, incorporating the math-metal and atmospheric post-rock aspects into nicely moody and harmonious pieces such as Push It Way Up! and the album's highlights It's Bad, We're Hit and Amy I Love You. But at times I miss a good vocal that could make the material more memorable and distinguishable. More kudos go to the tasty artwork and the altruistic distribution methods of the artist, who spreads his music through his website for whatever amount you wish to pay. It's probably the way of the future, but even though I almost exclusively listen to mp3, I still prefer to have a real physical copy of the music, it's just so much more fun browsing through real CDs then opening a bunch of files in Windows Explorer or one or other media library. 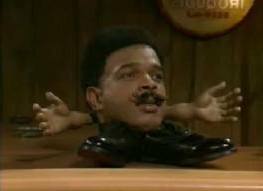 Anyway I'm getting carried away. And the reason is that, even though I think this album is very craftily made, it can't fully capture my unwavering attention as it misses that little extra that would push it to exceptional. 3.5 stars it is. Losing Steam, We're Going Down, Mayday! One man djentleman Ben Sharp, aka Cloudkicker, named most of the songs on this album after lines that might be uttered in the cockpit of crashing plane. While the explosion is not imminent, BEACONS feels like a vessel that's running out of steam. I loved Sharp's first offering, THE DISCOVERY, and he's certainly continued to create some solid music on subsequent EPs and now this, his second full album. But there's something missing. The riffs are actually tighter, the production is a little sharper, but ironically, there's actually less sense of danger on this record than this first. Where the DISCOVERY really seemed to take me on an emotional journey, I often find that BEACONS has played all the way through and I didn't even notice it. For newcomers to Cloudkicker, don't be scared off. Sharp makes some of the best djent / post- rock fusion out there, and it's free! (well if you want it to be, voluntary pricing). I prefer his work alot to related artist Chimp Spanner, and Sharp has disposed almost completely with most of the djent movement's metalcore leanings. The music is moody and atmospheric, but heavy. It's what post-metal was meant to be, and occasionally approaches. But it's better. The riffs are more interesting, the passages less monotonous (most of the time), and the musicianship obviously very careful. This last element, one of the most specific and common of all the math- metal types, is what really grabs me. There is nothing sloppy here at all, and unfortunately many metal bands delight in their slop. I've read that BEACONS is actually Sharp's most atmospheric and varied album to date and on very careful listen it is. As is common, as I give closer attention, my inclination is to move my rating from a 2 to a 3. Sharp is still giving us good stuff. He's certainly matured a bit, but the process has robbed as much fire as it has added nuance for this particular listener. Others clearly disagree. I've made my point. Get THE DISCOVERY first, move forward. If you enjoy that, you'll still get something out of BEACONS. Post a review of CLOUDKICKER "Beacons"